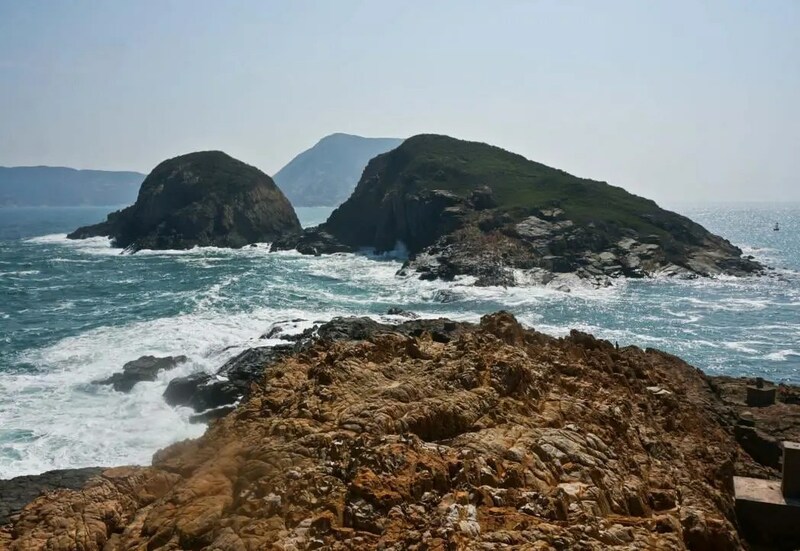 Kau Pei Chau (狗髀洲) is located to the south of Cape D’Aguilar Marine Reserve (鶴咀海岸保護區), and the most southeast corner of Hong Kong Island. It is only around 50 meters from the D’Aguilar Peninsula, but since the peninsula extends quite further into the sea, the island is hit by big waves all day. There is nobody living on Kau Pei Chau. Kau Pei (狗髀), literally means the thigh of the dog. But it is hard to imagine it when you look at the shape of this island. Actually, its original name in Chinese is Jiaobei (筊杯), which is a divination tool used in temples to request an answer from the gods in ancient China. Check out the bird view of the island from the map and you will know why.